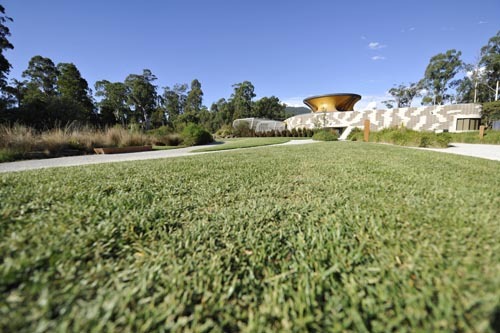 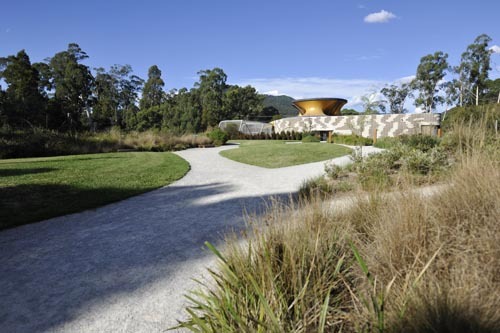 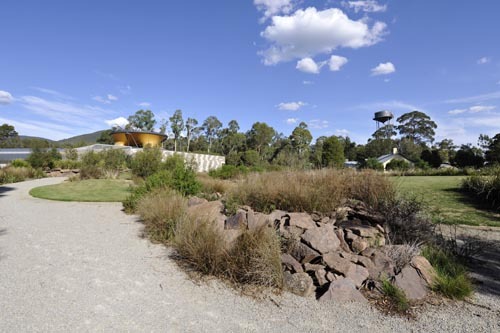 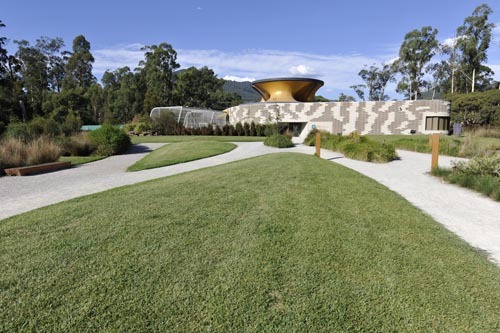 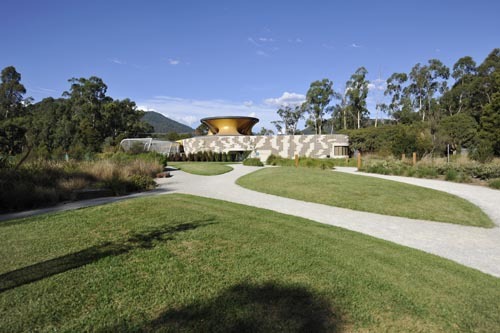 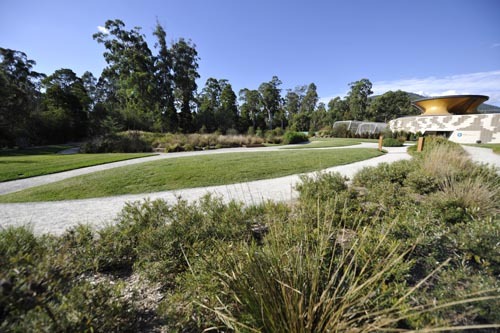 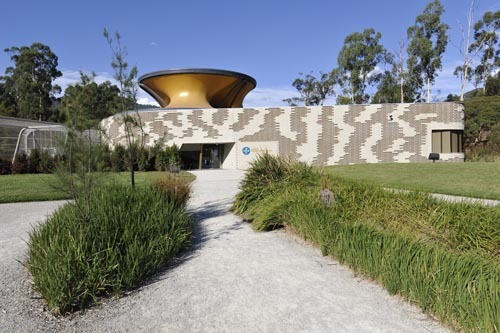 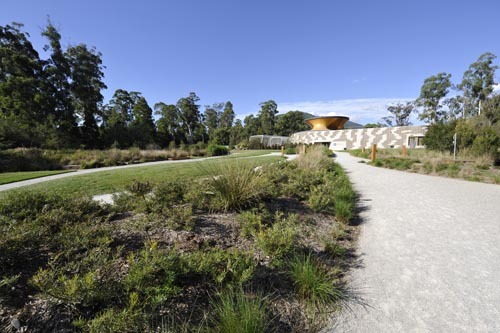 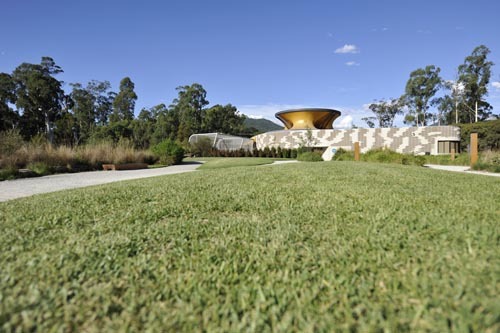 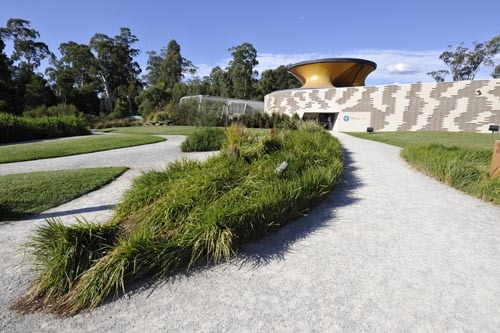 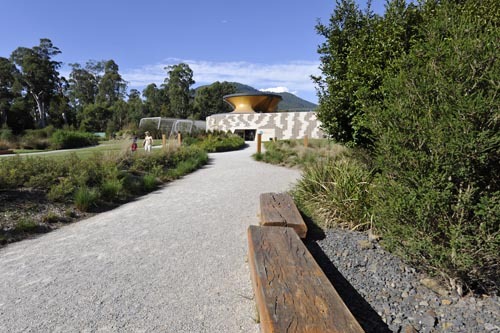 The Australian Wildlife Health Centre at Healesville Sanctuary was officially opened by the Victorian Premier Steve Bracks on the 14th of December 2005. 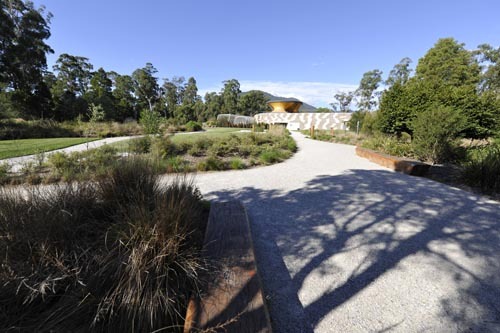 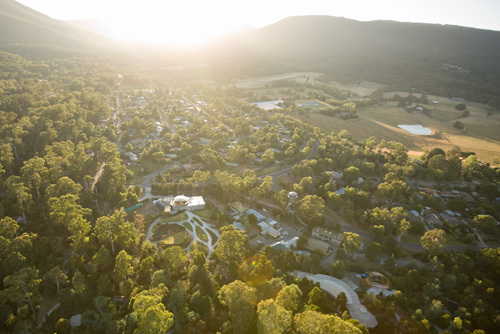 The goal of the centre is to broaden awareness of the Sanctuary’s contribution to the community, both local and regional, through an interactive and passive window into the workings of the Zoo. 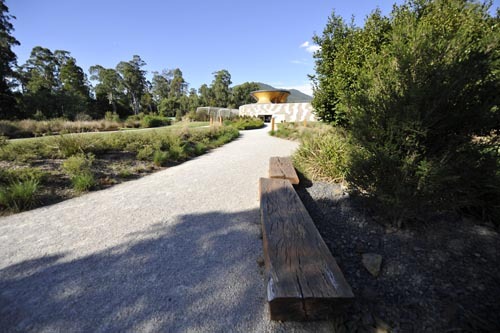 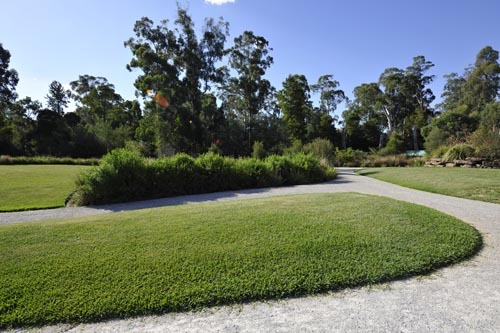 Being a centre not only for wildlife, the Sanctuary is also a community touchstone for education and discussion, its primary goal to leave the visitor empowered in the suburb. 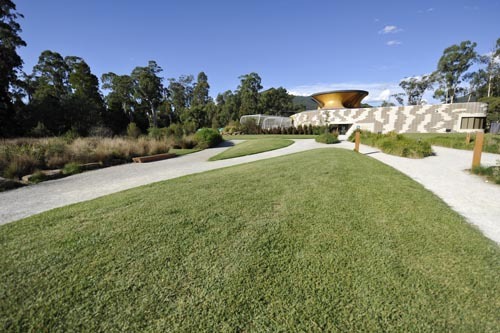 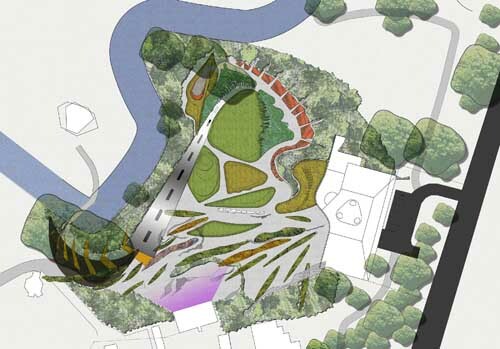 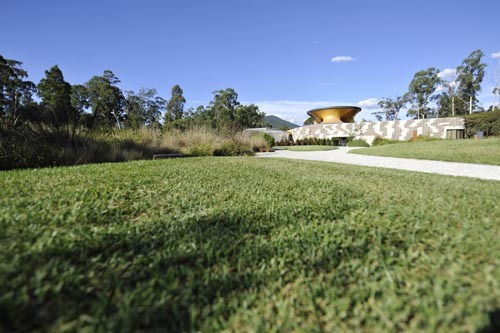 The Landscape’s design agenda is to acts as a vehicle for communication of ideas and issues. 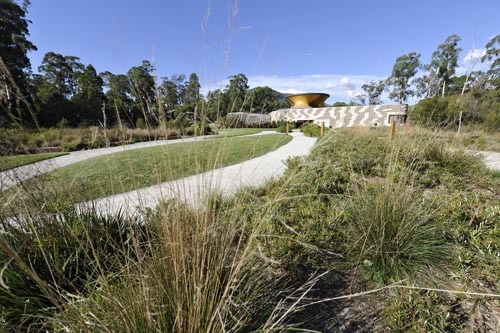 Supporting the Center’s mission, the landscape veers away from the naturalistic bush setting introducing a journey through the Gondwana period to present day landscape types. 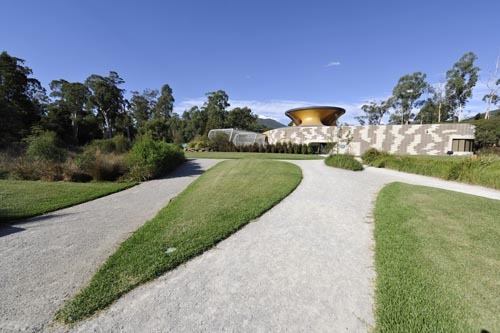 The design, together with the interpretative elements, forms a measured introduction to the building, a place of hints and suggestions, questions and provocation.